In the aftermath of the marathon debates on the Civil Partnership Bill, and inspired by Suzy’s far more eloquent blog post on the same topic, I wanted to try and cobble together some thoughts on the Seanad and its merits. is an imperfect institution. It is little more than a political car park for those postponing the inevitable decline into retirement; a breeding ground for a political party’s new hopes, trying to blood their new meat in the life of Leinster House before the savagery of the Dáil floor; and a consolation prize for those who came close-ish to winning a seat in the lower house in the previous election. And, despite the chamber’s activity, this is a perception I think the Seanad has probably not done a whole lot to counter. However, it does not need to be so, and the members of the House know it. In March 2009 The Late Late Show hosted a discussion (sadly no longer available which featured several members of the upper house arguing the merits of reforming the upper house to becoming an entity that the public had knowledge of, respect for, and trust in. The Seanad, of course, has had its fair share of enemies in the past. In 1936, as Donie Cassidy saw fit to remind us on Wednesday morning, de Valera – frustrated with a Seanad full of independents and its hampering his legislative agenda – abolished the chamber completely, only to reconstitute it the following year. In the past, former PD leader Michael McDowell has been an outspoken critic of the House and demanded its scrapping – only to turn around a few months ago and say he felt it neither “wise nor beneficial” to scrap it, and to call for its reform last week. That, of course, leaves Enda Kenny, who seems not to have noticed that should he conspire to lose the next election (an entirely plausible hypothesis) that the manner in which local councillors elect the majority of its members will guarantee an anti-FF majority irrespective of the Taoiseach’s nominees. Except a volte-face soon. Student politics are the most vicious kind of politics that exist, because the stakes are so low. While Kissinger’s edict is often interpreted in a cynical way, I choose to interpret it in a more well-meaning manner. Student politics are so vicious because the practical imnplications of their debates are not of a student’s concern. Thus, a USI debate on whether the morning-after pill should be available over the counter (to name one example that comes to mind) became an intense moral dissection of how such an act would play on society, and the slippery slides it may lead the country to. The difficulty, of course, with being inside the circle of student politics is that it’s too easy to forget thaat such arguments will not lead to an immediate legislative shift. USI passing a motion calling for the pill to be over-the-counter does not mean that young girls can walk into a chemist the following day. But that real life implication is divorced from the debate: it’s all about the moral, the wrong and the right. I like to think of the Seanad as being in a similar conundrum, though naturally with the stakes raised. But watching Rónán Mullen and the Fianna Fáil dissidents argue the right of a civil servant to decline registering a civil partnership – because a truly liberal society, they argued with a degree of merit, shouldn’t force people to act against their will – rang a lot of the same bells. The Seanad is, in de Valera’s original vision, that kind of chamber able to apply the Dáil’s hypotheses to the real world and critically analyse their merits in a way which the Dáil itself – handcuffed by the professionalism of the politicians who sit in it – cannot. Sadly, this role is one that a further ingratiation with the Dáil itself – and, by the same virtue, the political ‘establishment’ – only serves to lose. Where those with commercial expertise should be easily electable to the Industrial Panel of the Seanad, they usually can’t – not, at least, unless they’re a member of a political party with a significant presence on local councils. But this week’s debate – which debated, in a genuine sense, the merits and demerits of the legislation before it in a way the Dáil could never have managed – showed that the Seanad still has the capability to act in the way The Long Fellow would have wished for. Once the culture of free rein and conscience had been established by one FF senator deciding to jump ship, it made it all the easier for two more to join him. And suddenly, the usual rubber-stamping the Seanad gives to the Dáil’s work became that little bit more hard to come by, and the Seanad thus acted closer to the way it’s actually meant to. And when it works… by God, it works. The major problem with Ireland as a democracy is that the legislative branch simply doesn’t function in the way a legislative branch is supposed to. In other nations, a local MP is elected with only a minor responsibility to serve their constituents and a far greater focus on their legislative agenda. The Oireachtas, in short, isn’t meant to be a forum of local reps, it’s meant to be a body of lawmakers. And sadly, it’s largely anything but. We continually elect the likes of Jackie Healy-Rae to our parliament; people with every interest on making sure their name is emotionally attached to the latest main road linking two towns, and no interest in being the one putting their name to the legislation that actually builds it. The Seanad, though, is our getaway clause. The Seanad is the area in which our legislators are not bound by culture to hold constituency clinics or to fight for the interests of the people from their locale who share their political hue. The Seanad is our chance to elect legislators who just want to legislate. People like David Norris, Joe O’Toole or Shane Ross. Lawmakers. Not public representatives, just parliamentarians, who want to be in the legislature because they want to legislate. So, with that in mind, here’s a couple of quick ideas to get the Seanad going. First of all, let’s give the Seanad a far shorter recess than the Dáil – and let the public know about it. Today’s news agenda was entirely sculped by the fact that the Dáil will be in recess for twelve weeks. Nobody seemed to remark for a moment that the Seanad will be sitting again next Tuesday, quietly getting on with things while everyone assumes they’re on holiday. Further to this, given the fact that the Dáil isn’t sitting until late September, use the extra time wisely and get the Seanad sits to work through its backlog of undiscussed motions. Thursday’s Seanad order paper – listing all the motions and bills on the body’s agenda to be discussed – ran to 16 pages. While the Dáil is on pause, introducing new bills only adds extra work – but there’s a lot of motions, many of them apolitical, sitting on the agenda waiting to be discussed. The Seanad is our prime national debating forum. Let’s let it debate and play to its strengths. Let’s also remove its image as a halfway house between the creche and the deathbed by holding Seanad elections directly alongside Dáil elections. Most people have contempt for the Seanad because it’s populated by people on their way into, on their way out of, or in between stints in the Dáil. By putting the elections at the same time, the Seanad ballot papers will be populated only by people who want to be on them. 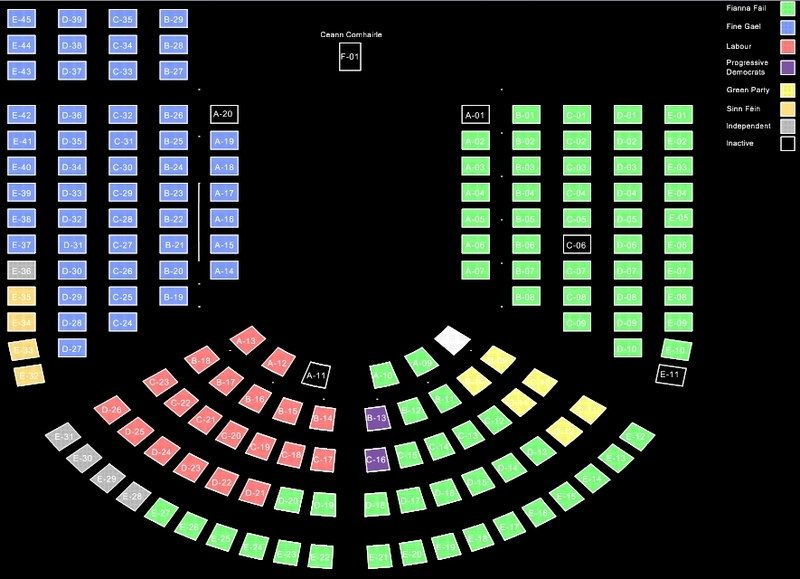 A house of parliament shouldn’t be somewhere people see as a silver medal. The Seanad, and Ireland, deserves better than being a consolation prize. Let’s introduce the graduate reform programme we approved in a referendum 31 years ago this month (!!). Currently Trinity graduates get 3 senators all to themselves; graduates from UCC, NUI Galway, NUI Maynooth and UCC share another three between them. Those who graduated from two Irish universities get no representation, nor do any from the ITs. Let’s pass an act getting the institutions to hand over their graduate records, and task the NUI with maintaining a roll (they already do it for four big colleges, so why not?). Then merge the two three-seaters into one six-seater graduate panel, et voila – instant improvement in public profile. Of course, all of that comes as a stepping stone before an actual Seanad reform. 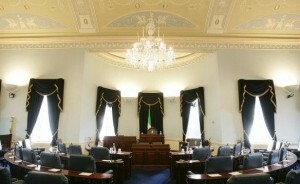 With people from every side of the House being in favour of making the Seanad more relevant, why not capitalise on that appetite – and the inevitable few months’ downtime between an election and the Seanad convening properly – to formulate universally acceptable ideas on what should change, and have them ready for approval as soon as things get going. Let’s further divide the Seanad from the Dáil by having it not acknowledge party memberships. 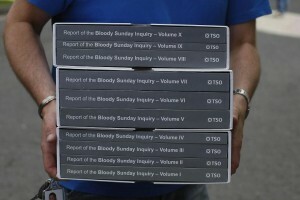 By all means, have a Government-sponsored minority (let’s perhaps allow the Taoiseach their discretion to keep their 11 nominees) to allow some coordination of the legislative agenda between the Houses, but having a stable of independents would require every piece of legislation to command a cross-industrial consensus. And if that means that legislation is restricted to the practical things we can all agree on, then that’s no bad thing. 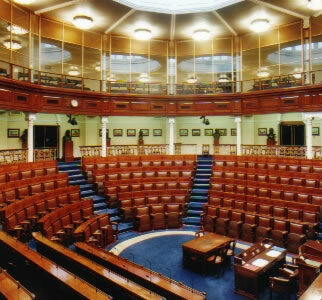 The Seanad is a house of parliament of one of the countries most envied by the world. It deserves better than being a stepping stone or retirement home. It should be modelled to play to the strengths of those who want to be in it. Perhaps someday, someday, it might what it deserves. Until it does, we merely get what we deserve for putting up with it being second best.